At this once-in-a-lifetime event, 13 Pulitzer Prize-winning poets will share the stage to read from their own prize-winning collections as well as select poems by past winners. 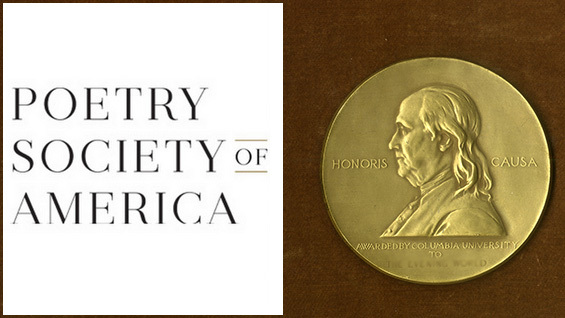 Join us in celebration of their achievement, of the Centennial year of the Pulitzer Prizes, and of the Poetry Society of America's founding role in sponsoring the earliest years of the prize for poetry. Featuring: Rae Armantrout, John Ashbery, Peter Balakian, Carl Dennis, Stephen Dunn, Jorie Graham, Yusef Komunyakaa, Sharon Olds, Gregory Pardlo, Philip Schultz, Vijay Seshadri, Natasha Trethewey, and Charles Wright. The reading is co-sponsored by The Cooper Union Office of Continuing Education and Public Programs; the New York Council for the Humanities; the Pulitzer Prizes as part of the Pulitzer Centennial Campfire Initiative; and supported by Alfred A. Knopf; Four Way Books; Farrar, Straus and Giroux; Graywolf; HarperCollins; Houghton Mifflin Harcourt; Little, Brown and Company; Louisiana State University Press; W.W. Norton; New Directions; NYRB Poets / New York Review Books; Penguin; University of Chicago Press; Wesleyan University Press. Faculty, staff and students of The Cooper Union may attend free of charge.